Interstate Hotels & Resorts announce three newly awarded management agreements: a dual-branded Hyatt House and Hyatt Place SeaTac, Wa., developed by Seattle-based Lou Development; and a luxury resort in Southern California's Temecula wine region, tentatively named Twelve Oaks Resort, developed by Standard Portfolio. With these additions, Interstate's Asia practice team continues to strengthen its dedicated resources providing hotel management services to its partners, with 46 hotels and more than 12,500 rooms including signed hotels under development or construction. 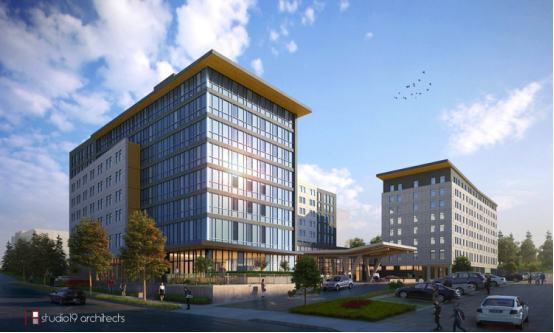 Breaking ground in 2018, the 132-room Hyatt House and the 237-room Hyatt Place will begin construction near the Seattle Tacoma (Sea-Tac) International Airport with plans to open in 2019. Designed by Studio 19 Architects, both properties will share common amenities. "We are thrilled to bring this kind of development to SeaTac," said Steven Lou, owner and CEO of Lou Development. "It has been several years since new growth has broken ground in this area, and once completed, we will have added 369 hotel rooms in addition to new residential apartments right in the city's center." On the West Coast, Standard Portfolios is developing an expansive, 700-acre mixed-use project including a vineyard, resort, tentatively named Twelve Oaks, ample event space, and residential living in the heart of California's Temecula Valley Wine Country. Upon opening, Interstate will operate the 251-room luxury resort, restaurants and event space. The highly anticipated groundbreaking is scheduled for mid-2018, with the resort, an Autograph Collection, anticipated to open in 2020. Within a two-hour drive from Los Angeles, Orange County and San Diego, this new development will enhance the Temecula region as a wine vacationing destination. "It is rewarding to earn the confidence of top developers such as Lou Development and Standard Portfolios," said Interstate Hotels & Resorts' Head of Asia Investment Group, Don Li. "Our goal is to draw on our deep experience, talent, and resources opening and operating numerous branded hotels and destination resorts around the world, to deliver exceptional guest experiences and optimal hotel performance for our clients."